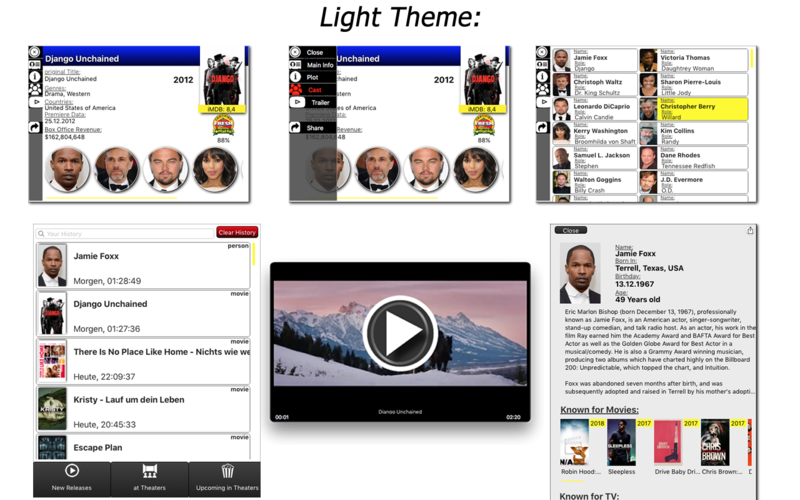 PCB Desk enables you to quickly and easily lookup Movies, TV Shows or Actor/Actress Details in some easy ways. PCB Desk gets the Media Info from theMovieDatabase.com Website and renders them into pretty Cards/Tiles and strips all the Infos that matter into a clean and easy to use Interface. PCB Desk is also a great discovery Tool, so e.g. by looking up an Actor or Actress you will also get his/her recent Movies and TV Shows (up to 35), so will discover many Movies that were not yet announced or it takes several Months till they arrive in Theaters. 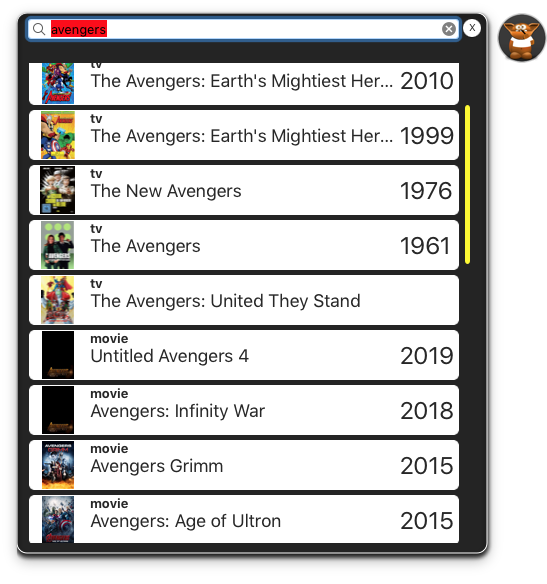 PCB Desk also allows you to quickly access the current Releases for Movies and which are upcoming within the next Month, it can also setup a simple Reminder for you to be notified about it. 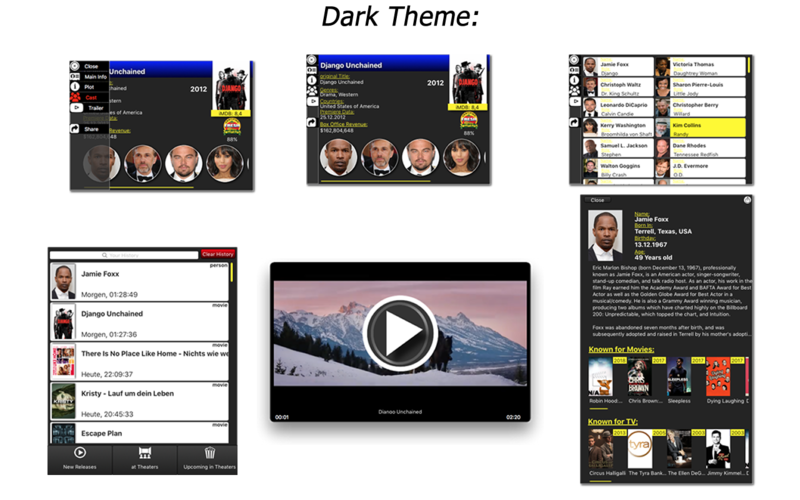 Looking a Movie allows you to see alll the Cast which you can select and lookup the Media related to this Person, from there you can select a Movie and so on, so as you can imagine, this can be used in an endless loop. PCB Des also uses iCloud Sync with all your MacOS Devices and with all your iOS Devices if you are using PCB Touch. 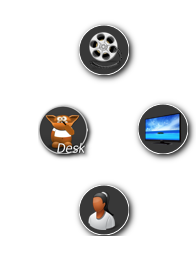 Drag & Drop: Select some Title or Name in e.g your Browser, than simply drag this selection onto PCB Desk’s Dock icon and drop, a Selector will appear right above the Dock Icon asking for Search Kind, Movie, TV or Person. Thats it. Select a Text and copy it to your Clipboard, after this hit this Keyboard Combo: CTRL + C and the above mentioned Selector will appear close to your Mouse Pointer. Hit this Keyboard Combo: CTRL + OPT + C and the Search Panel will appear with your Clipboard Text as a starting Point. You can select a Text Snippet, right click you Mousse, choose Services->Lookup in PCB Desk and you can trigger the Selector right here. As you can see on the left side Picture you get all the most important Infos at a first look, you can click the More Button to access the Cast List and the Plot Overview what this Movie / TV Show is about. PCB Desk supports two Layout Modes, the thin and the Extended Layout. tThe Extended Layout is similar to the thin one, excepting it has the Main Cast Section at the bottom to give you faster Access to Actors etc. 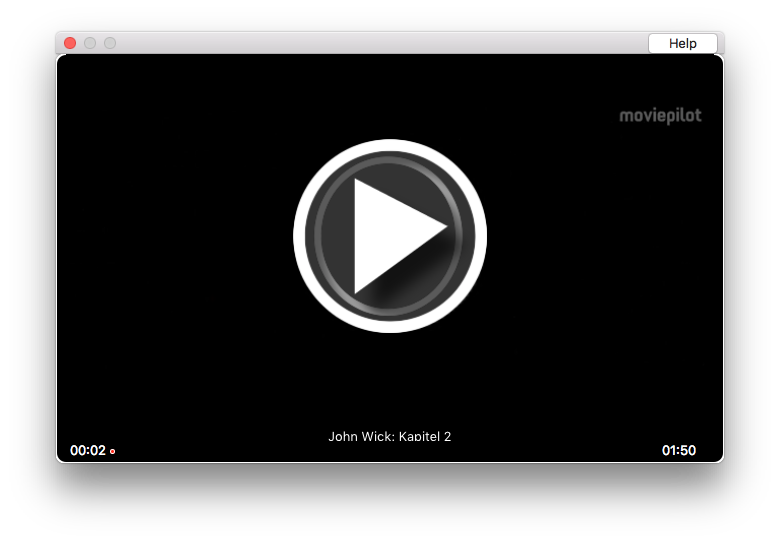 If there is a Trailer known for this Movie, you can watch it, otherwise this Button will open a “GoodLuck” Search on YouTube in your default browser. PCB Desk get simply the first Result or possible match related to its popularity, if that is not the Media you were lookingg for, there is the 2Wrong?” Button which gives you quick access to all alternative Results PCB Desk has found. To move a Tile to another Place on your Screen, simply click and hold and drag the Window, be sure you click and hold from empty space or from where a text is. This Behaviour is common to all PCB Desk Windows and Tiles. The Person Tile has one additional Feature, you can click the Image in the top left corner you can see a Gallery of alternative Images for this Actor/Actress. This Part can be accessed by clicking the Dock Icon. Scroll down to make a thumbed Player in the bottom right corner of your Screen.